Upon my arrival to Charleston, South Carolina, I was reminded of something I didn’t know how I managed to forget: Carolina sunsets. 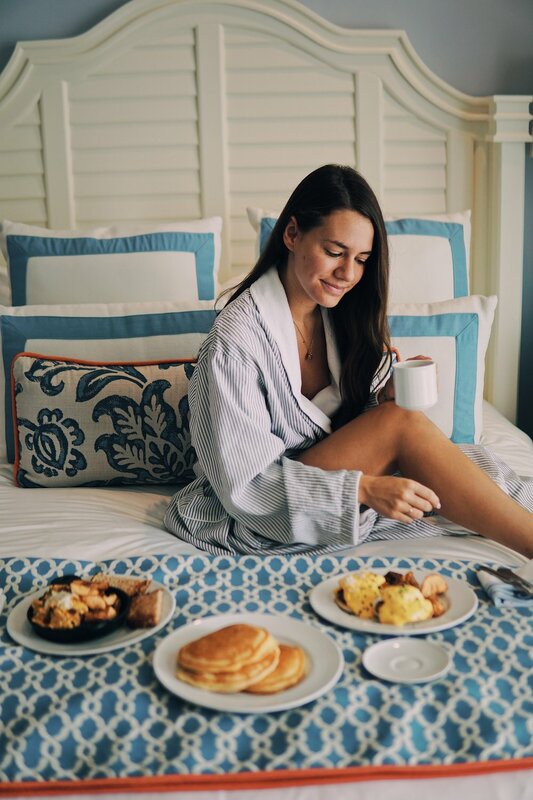 We entered our room at The Beach Club at Charleston Harbor Resort & Marina after being welcomed gracefully to what felt more like a private estate than a resort, and made our way directly to the balcony. The sun was setting, turning the sky magnificent hues of pink and yellow. I sighed with pure bliss. Sunsets are my very favourite thing. We hurriedly had a shower to wash the ‘journey’ off before our travel began, and then went to meet up with the group at Charleston Harbor Fish House just across the lot. Here not only were we greeted by platters of fresh seafood and oysters to die for, but a group of truly magnificent people. 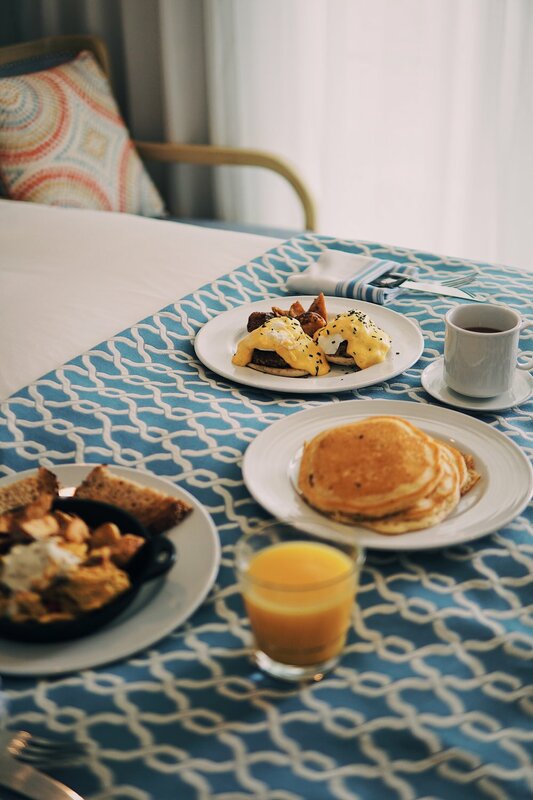 Though I’ve worked with many hotels in the past, this would mark my first official press trip with a group of influencers, so I wasn’t sure what to expect. But immediately I knew any lingering expectations would be more than met, they were already far exceeded. We learned about the people around the table, each with a unique story, and got excited by their recommendations to try the southern dish you’ve all heard of: Shrimp and Grits! The next day, after having an amazing in-room breakfast and lounging on the balcony overlooking the marina, we meandered our way down to the pool for some much-needed rays. There’s always something about the sun that makes me feel renewed, but here the sense was much stronger —whether it was the many butterflies fluttering about or the warmth of the southern charm exuding from the staff members, I couldn’t quite tell. All I knew was that I was feeling great. And, that’s not all: the luxurious feelings were only enhanced by my relaxation massage that followed the Estuary Spa. 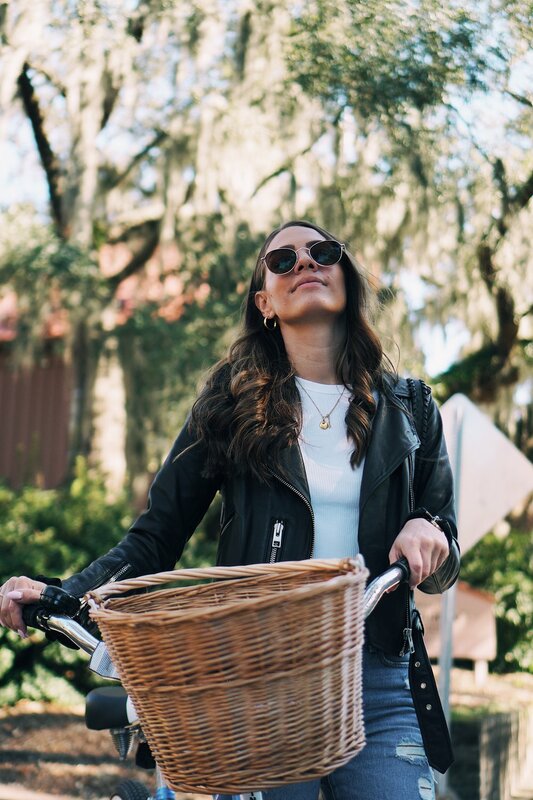 The following day, we had an opportunity to get out and explore more of Charleston by bike — with the amazing Schwinn bikes provided to us at the resort. We decided to go to Sullivan’s Island, where we got to walk along the beach and have an amazing brunch in this little resort-like town, stopping to snap some photos under the old willow trees we discovered while cruising the neighbourhoods in the area. Fun fact: I also have a thing for willow trees, ever since I became good friends with the one that held our tire swing in the backyard of my childhood home. They seem to hold such wisdom and peace, I still can’t help but love being around them. Although, at the end of the long weekend, we had opted to bask in the luxury at the resort than spend too much time in the city of Charleston, a little water taxi over to the city for dinner one night confirmed that we will definitely be coming back to Charleston, South Carolina again. And when we do, we will definitely be staying at The Beach Club, Charleston Harbor Resort + Marina. 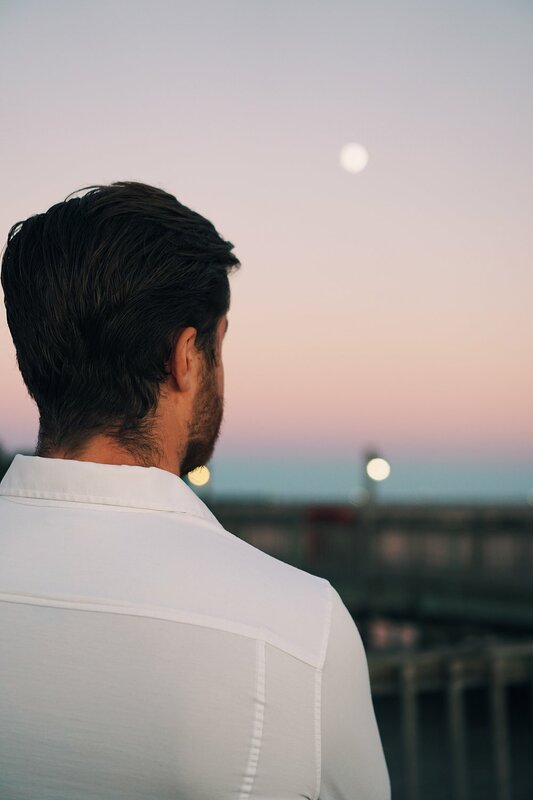 (the#2 Resort in the South and the #1 Resort in South Carolina in the recent Conde Nast Traveler Readers’ Choice Awards). We highly recommend you do too! Ps. be sure to watch the video of our experience below.